As we know, Android operating system was updated to Android 6.0 Marshmallow. Many devices get official updates, and many get unofficial by flashing a custom ROM. Now as Android marshmallow is out, many developers already updated their ROM’s to marshmallow or AOSP 6.0 and many are planning to bring cm13 to your device. Also, many devices get official cm13 updates. If you are planning to upgrade your phone or wants to flash CM13 bases ROM then you need to download gapps for cm13 or gapps for Android 6.0. What is Gapps and why we need this? Gapps are the Google-based application such as play store, chrome, youtube, etc. which comes pre-installed on almost every device. Without Gapps, you can’t use Google services. Any custom ROM you flashed comes without any gapps you have to download google apps for marshmallow and flash it via custom recovery. So download gapps for cm13 before installing a new custom ROM and use your device without any problem. We list some of the Gapps, which works fine on Marshmallow based ROMs. 1) Open Gapps for CM13 – Open Gapps is the most popular and one of the best Gapps for CM13. If you want to download gapps for cm13, you should definitely try this one. It comes with a different packages stock, mini, micro, etc. you should check the difference and download any gapps. Better to download nano gapps or Pico gapps both of these are light weight and includes only play store and play services. And you can download any Google apps you used from play store. Download Open gapps for cm13 from the link below. 2) Bank Gapps for Android 6.0 – Bank Gapps is the one that provides minimal edition Gapps with proper installation of play services. These gapps created by a developer from dirty unicorn ROM. Download Bank gapps for android 6.0 from the link below. 3) Slim Gapps for Android 6.0 – This Gapps package established by XDA member @dankoman. If you want to download gapps for cm13 based ROM this one is one of the best and small size Gapps available. Download Slim gapps for android 6.0 from the link below. 4) Delta Gapps for CM13 – This Gapps package is created by XDA member @Deltadroid. This gapps package automatically changes the dpi according to your device dpi. This package is available for all 32-bit devices. Download Delta gapps for cm13 from the link below. 5) A-Gapps for Android 6.0 – This package provides a Minimal gapps 6.0.1 or A Gapps for 6.0.1 for your device. The package created by XDA member @dravoc76. This is the smallest size Gapps package with only 37mb. This is best for those who have limited internal storage. Download A-gapps for android 6.0.1 from the link below. 6) Benzo Gapps for Android 6.0 – This is also one of the best Gapps for marshmallow devices. This Gapps comes with a mini package with limited apps. Download Benzo gapps for cm13 from the link below. 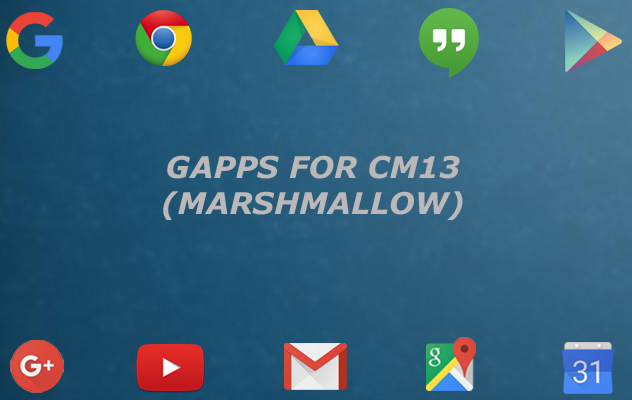 1) First you have to download Gapps for cm13 or Marshmallow and save it on your device. 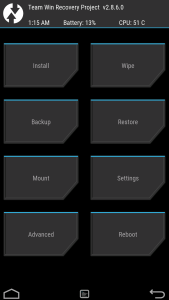 2) Now boot your phone into recovery mode. 3) Once you are enter in recovery mode, you see the main screen like this. 4) Now if you are using TWRP recovery click on ‘Install’ and select Gapps package or if you are using CWM click on install zip from sd card and select Gapps package. 5) After selecting the Gapps simply flash the zip file. Also clear cache and Dalvik Cache after flashing the Gapps. So this the Complete guide of where to download gapps for cm13 and how to install gapps on Android 6.0 Marshmallow. Comment below if you have any doubts. Not working with CM Recovery. Known Bug in CM13 Recovery. I am using galaxy s2 i9100. None of the. Gapps seems to work on my device. 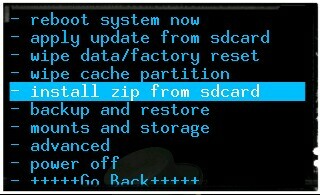 It shows Insufficient space on cache partition. Please I need the smallest gapps I can use on my device for marshmallow 6.0. Thanks for the post. Free up some space on your device and try A-Gapps its only 37mb in size. I appreciate your response @Sumit. I tried your suggestion its says I should free up space or install a smaller package.. Please how do I free up space or is there any other smaller package than A-Gapps. This is the smallest one. OK. Thanks. It works now but I downgraded to 5.1. One more thing sir, how can i remove the yellow triangle shown at phone start up. I’m not sure but you can try app like Tringle Away. OK. I apologize for the numerous questions, is there any side effect if I choose to use the phone with the yellow triangle on it. Try different Gapps or maybe issue with your ROM. I’m a Noob. Do I download the 32 or 64 bit version of opengapps? That depends on your device. Download hardware info app from playstore to check it.